According to fashion mainstay, Vogue magazine’s website-one of the hot-to-trot-trends-for-tots this spring is going to be white lace. Don’t think that means all frills, this trend is actually pretty versatile. Unfortunately you might have to rob a bank to pay for Vogue’s version of the white-lace look. Unless you like orange jumpsuits, put the ransom note down and take a look at these more budget-friendly options. You won’t have to spend your kid’s college fund to get them a trendy spring wardrobe that is on-point. Who has $360 to spend on little girl’s ballet flats? That’s just insane. She’ll outgrow them in no time! This look is fresh and innocent without being boring or too grown-up. Pastels and bright colors are the usual fare for spring and summer, but nothing says fresh and clean like crisp white lace. Its perfect for spring or summer with its light and airy feel. These lace pieces are not the stiff, starchy laces your grandma wore. 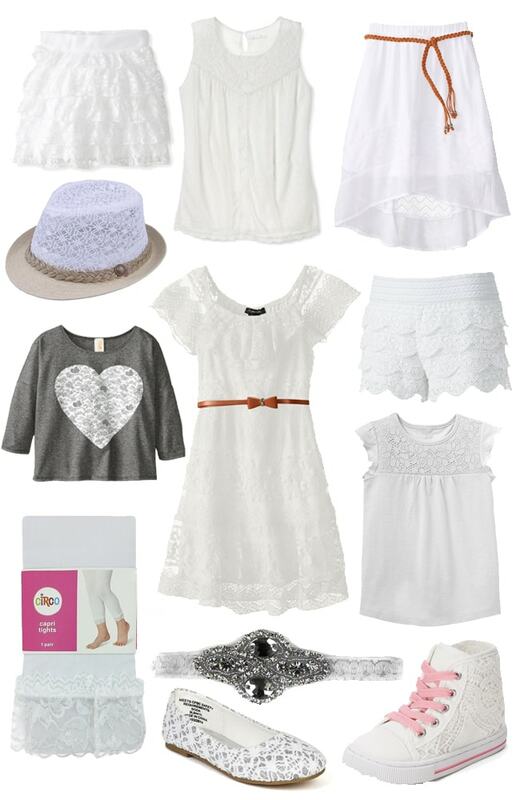 I have rounded up some of my favorite white lace pieces for girls. These items are all budget-friendly of course. That’s what makes them so appealing. I can’t get enough of those lace high top shoes. How cute are those? existing shirts by refashioning sleeves or adding a lace yoke to a basic tee shirt to make a budget-friendly Anthropologie copy-cat! You don’t even need to be able to sew, there’s no-sew alternatives like Stitch Witchery that can simply be ironed on. So simple! There you have it! 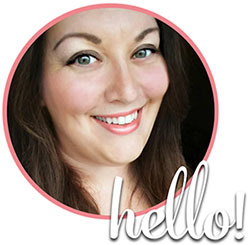 You can find adorable, trend-setting looks without spending a fortune. These pieces are just as cute (if not cuter!) than their high-fashion, designer counterparts. 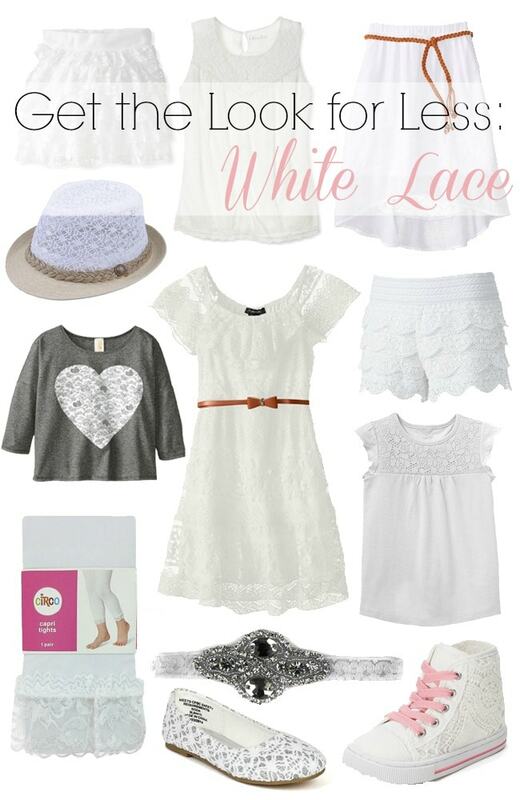 What do you think of this white lace trend?